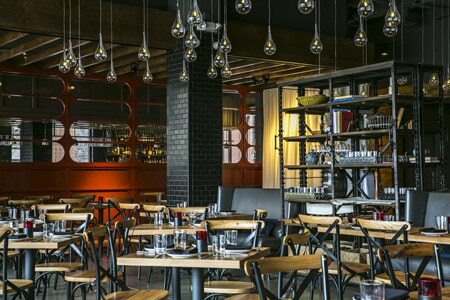 : After visiting the Spanish Basque country, the Castellucci team (Sugo, The Iberian Pig, Double Zero) returned to Atlanta determined to open a Basque restaurant. The name Cooks & Soldiers was inspired by January’s Tamborrada festival held in the city of San Sebastian. During the event, adults dressed as cooks and soldiers walk through various parts of the city to the sound of drums. This westside place holds a Tamborrada every year. Founding executive chef Landon Thompson has moved on, and Matthew Ridgway has assumed the top toque duties. The restaurant's contemporary design serves as the stage set for this unique cuisine. Some of the pintxos (small snacks) seem close to authentic, while others rely on embellishments from other parts of Spain. Thus, we have beef braised in Kalimotxo, a Basque tapas bar sip composed of red wine and cola, and rabbit served with salbitxada, a romesco-like sauce from Cataluña (Tarragona). Try the chistorra, the Basque version of chorizo. Consider the Basque cake for dessert; although some diners may find it not sweet enough, it’s close to the real deal. The wine list romps through Spanish and French selections; don't miss the Basque offerings and be sure to learn what Txakoli is all about. Wines made from unique grape varieties, such as Bobal from near Valencia, provide a singular opportunity to experience the diversity of Spanish wine.